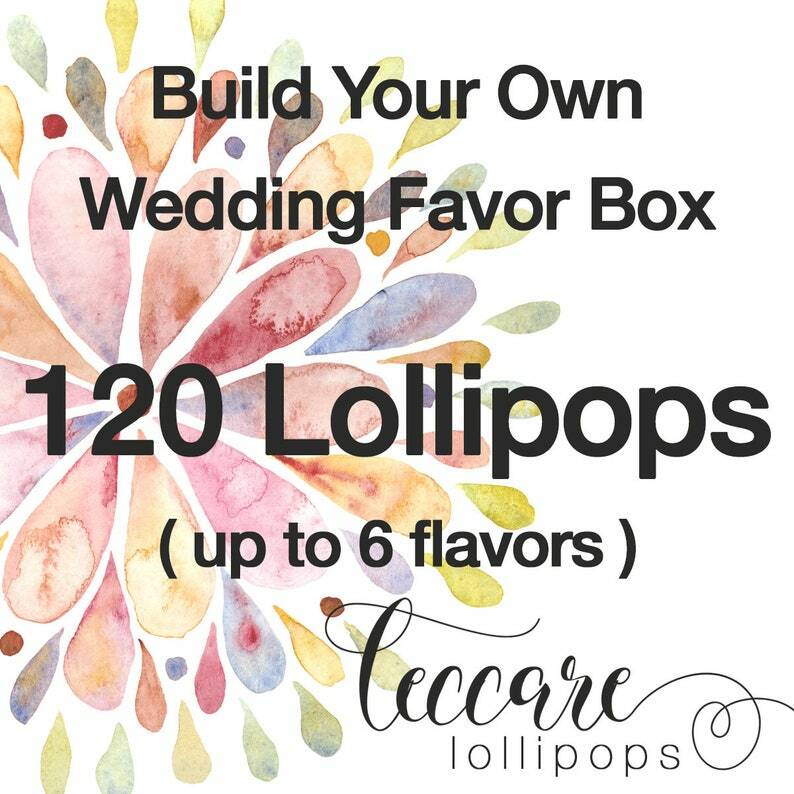 You will receive 120 lollipops ( pick up to 6 flavors just see 2nd to the last image for available flavors ) Custom labels included. We have many to pick from - or we can design something for you. For samples just see the last image. 1. Pick your flavors - you can have up to 6 different ones. 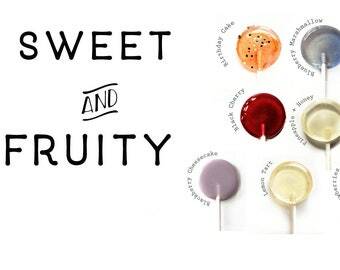 This includes our most popular rose honey, marigold, lavender, and hibiscus flavors too! Kimberly is great to work with. 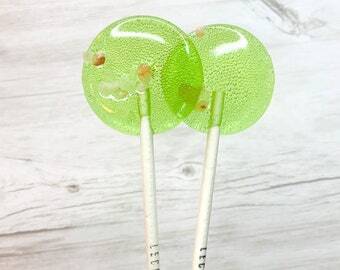 I had these lollipops as favors for my daughter's wedding shower. First I ordered the sample box and we 'taste tested' the flavors at work. Lots of fun to do and I was able to narrow down flavors for my order. Then Kimberly assisted with a label (instead of telling me to choose from the label selection she has), and took care to have my order to me on time. 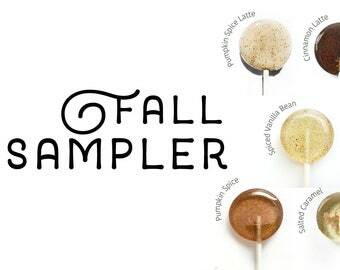 It's been several weeks since the shower and I'm still hearing how much the lollipops were enjoyed. A friend wants to place an order just for herself! Turned out beautiful and great communication!! So excited for this weekend!